“Takes ‘ripped from the headlines’ to a new level." 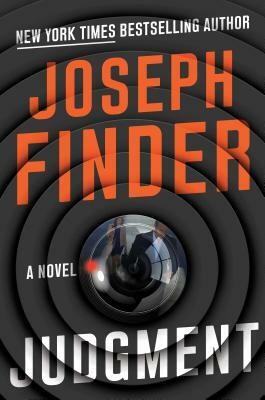 "Joseph Finder's Judgment is a pitch perfect, ripped from the headlines thriller. An intense ride that grabs hold and refuses to let go. Judge Juliana Brody is a magnificent character, a perfect blend of believable vulnerability and ruthlessness to protect her family." "A brilliantly paced juggernaut of thrills as well as a deeply serious investigation of morality and justice, Judgment shows Finder's absolute mastery of the genre. Incredibly gripping, trenchant and human, this is one of the best novels I've read this year." "A can't-miss thriller . . . He's a master at making the reader feel every emotion, jump at every shock, and squirm with every twist that Danny must overcome."